Spring break is finally here, and the twins and I are heading to Florida. 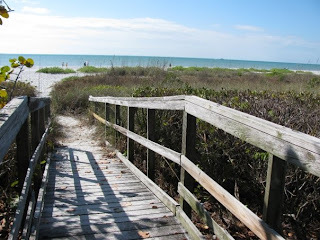 My husband will stay here to meet Daughter #1 in New York on Sunday (her study abroad program is sending everyone home before the Royal Wedding), then they will join us in Sanibel. According to my father-in-law, the season is winding down, temperatures are heading up, and the island is getting quieter. That's fine with us. We had snow again on Monday and are desperate for warmth and sunshine. We're looking forward to a low-key vacation walking on the beach, biking, and reading. I'll have internet access with my iPad, but do not plan on posting until we return. I'm not sure what my husband will decide to bring, and Daughter #1 plans to select a few books at the Sanibel Island Bookshop. Although I won't be posting, I'll try to read a few blogs each day. See you in May! 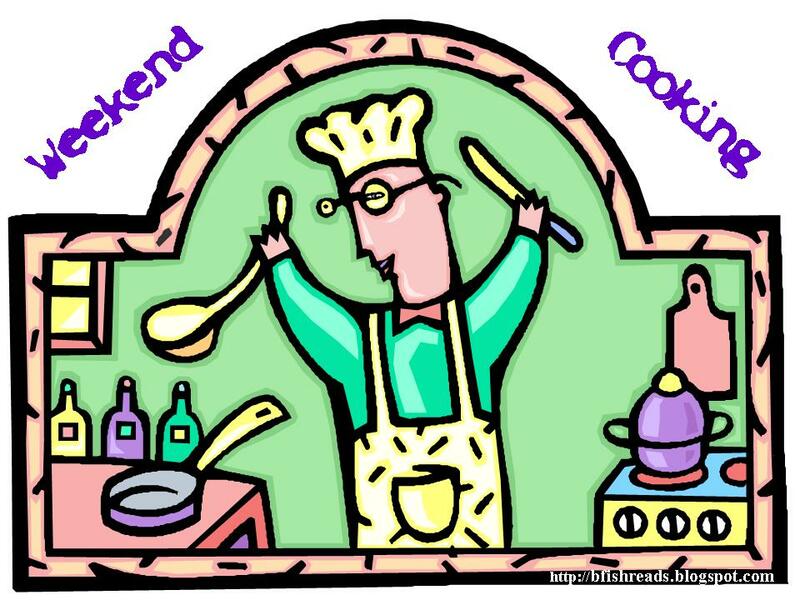 Celebrating Poetry: What's That Smell in the Kitchen? 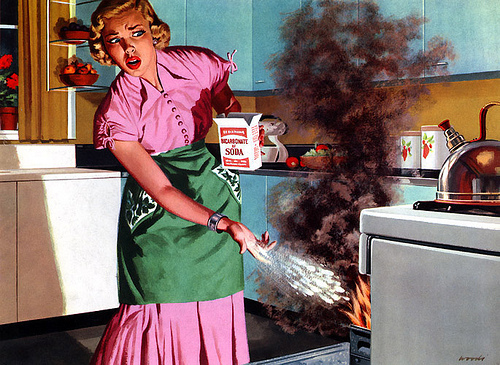 All over America women are burning dinners. tofu delight in Big Sur; red rice and beans in Dallas. Anger sputters in her brainpan, confined but spewing out missiles of hot fat. from a barbecue against the back of her eyes. her husband spitted over a slow fire. nothing but leftovers in Tupperware. on your platter with parsley but now I am Spam. I'm a poetry novice, and this one has left me speechless. Anger is not an emotion I tend to associate with poetry. But, why not? 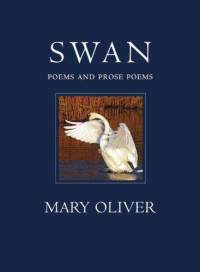 Poetry gives voice to a wide range of feelings with keen and often profound insight. When I read this to my husband, he responded "How about take-out tonight, dear?" April is National Poetry Month. I'm posting a poem each week in celebration. "Oh, but it was splendid the things women were doing for men all the time, thought Jane. Making them feel, perhaps sometimes by no more than a casual glance, that they were loved and admired and desired when they were worthy of none of these things - enabling them to preen themselves and puff out their plumage like birds and bask in the sunshine of love, real or imagined, it didn't matter which." 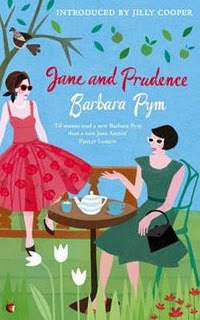 Reading a Barbara Pym novel is the perfect reward after a long, hard day. It's the birthday of the woman who said: "My tendency is to believe that all experience is an enrichment instead of an impoverishment." 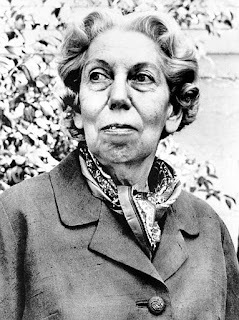 That's fiction writer Eudora Welty (books by this author), born in Jackson, Mississippi (1909). Her short-story collections include A Curtain of Green (1941) and The Collected Stories of Eudora Welty (1982); and her novels include Delta Wedding (1946), The Ponder Heart (1954), and The Optimist's Daughter (1972). Since I read one of Welty's stories over the weekend and never got around to a Short Story Monday post, this is a fortuitous coincidence. I could claim marking her birthday was my intention all along, but in reality it's hard to write a post on Monday and harder still to scheduled them ahead of time. "A Visit of Charity" tells of a fourteen year old Campfire Girl's experience during a required visit to an old ladies' home. "I'm a Campfire Girl... I have to pay a visit to some old lady," she told the nurse at the desk..
"Acquainted with any of our residents?" asked the nurse. She lifted one eyebrow and spoke like a man. "With any old ladies? No - but - that is, any of them will do," Marian stammered. Welty describes Marian and the two old ladies selected for a visit with the acute awareness of character and setting I have come to expect. There was loose, bulging linoleum on the floor. Marian felt as if she were walking on the waves, but the nurse paid no attention to it. There was a smell in the hall like the interior of a clock. Everything was silent until, behind one of the doors, an old lady of some kind cleared her throat like a sheep bleating. Marian's discomfort is keenly evident and the visit itself is tinged with hints of both sadness and humor. "How old are you?" Marian breathed. 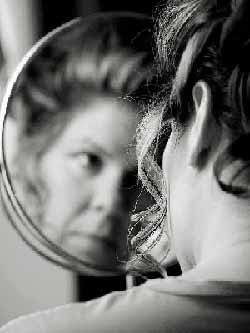 Now she could see the old woman in bed very closely and plainly, and very abruptly, from all sides, as in dreams. She wondered about her - she wondered for a moment as though there was nothing else in the world to wonder about. It was the first time such a thing had happened to Marian. The story reminded me of a nursing home visit during my early years in Girl Scouts. That's me in the middle of the back row. Years later as a leader, I took our troop to a nearby senior center for Christmas caroling and, at Easter, to drop off handmade placemats and table decorations. Welty's quote in the Writer's Almanac seems particularly relevant to this story. A visit with a senior citizen is usually an enriching experience for both young and old. "A Visit of Charity" can be read here. Read more about Sylvia Plath here. 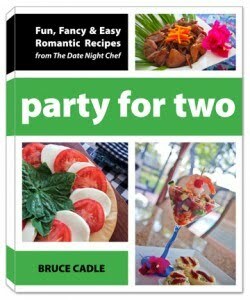 Perhaps it was our recent twenty-fifth wedding anniversary, or maybe the renewed efforts to resurrect date night, but the offer of a review copy of Party for Two by Bruce Cadle caught my eye. With two high school seniors and a third daughter away at college, my husband and I seem to be eating more dinners alone and this sounded like a cookbook that would be useful for preparing smaller, more intimate dinners. I quickly discovered Party for Two is not just a basic cookbook. It also offers the author's recipe for a strong marriage. Bruce Cadle is a food writer, seminar speaker, and pastor. At the foundation of his own thirty-five year marriage, is an ongoing commitment to Friday date night. 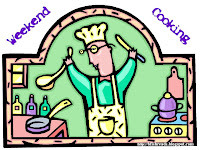 Bruce and his wife Valerie make cooking a special meal and spending time together a priority. Part One of Party for Two features practical advice for couples interested in starting their own date night tradition. It begins with the whys and hows of logistics (especially helpful for those with young children), discusses basic pantry supplies, stresses preparation and planning, and ends with tips on plating and presentation. To give the book a more personal feel, most recipes begin with a story or anecdote. However, the lack of photographs proved to be a major drawback. Readers are directed to the website (datenightchef.com) for photos, videos, and tips, but I definitely prefer pictures in my cookbooks. Our winter date nights often involve a favorite local restaurant, but as the weather gets warmer (and it's bound to soon) we'll be cooking and eating almost exclusively home. There is nothing better than a delicious meal outdoors by the lake. I can't wait to try the Grilled Brie, Japanese Radish Salad, Smoked Salmon Martini (pictured on the cover), and Chardonnay Chicken with Goat Cheese and Prosciutto. Told from the perspective of Thomas Cromwell, Wolf Hall chronicles Henry VIII's challenge to the Church's power as he divorces Katherine of Aragon and marries Anne Boleyn. Winner of the 2009 Man Booker Prize. Wolf Hall is historical fiction for the historian. 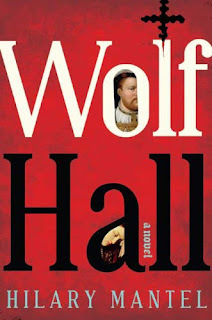 The well-researched story of Thomas Cromwell, his relationship with Henry VIII, and events surrounding Henry's divorce from Katherine and marriage to Anne Boleyn is fascinating stuff, but Wolf Hall is certainly not a page-turner. Tudor history is a personal favorite, yet this was an extremely slow read. Let me stress that slow, in this case, does not mean boring. Each page of Wolf Hall brought sixteenth century England to life and I was ultimately rewarded for the time and effort invested. This book is probably best read when large blocks of time are available. 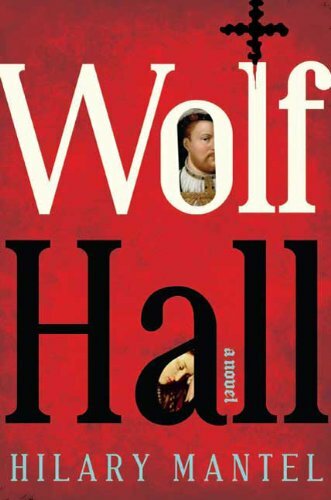 Tudor buffs and scholars will undoubtedly love Wolf Hall, but it may be a difficult novel for those with little knowledge of the time period. April is National Poetry Month. I'll share a poem each week to celebrate. The TBR Dare is history, and even though I didn't get through the huge pile of books set aside, this has been a wonderful experience. It brought me back to Richard Yates, introduced me to Barbara Pym, and prompted me to finally pick up a Eudora Welty novel. I finished books received as Christmas gifts (in 2009!) and read from several short story collections already on my shelves. It has been an outstanding three months of reading. Thanks so much for hosting, James. If this becomes an annual event, you can be sure I'll sign on again. So what lies ahead? Although I haven't been reading newly acquired books, the TBR Dare has not kept me from accumulating them. Between my London book haul, our Borders store closing, and a couple of gifts, the TBR dare has actually resulted in a net loss of bookshelf space. Now I must decide where to begin. Pym? Whipple? Contemporary novels? Classics? After finally finishing Wolf Hall (accomplished with a week of blog silence), my next selection will most certainly not be historical fiction. As I was perusing a stack of possible choices and about to settle in with Barbara Pym, a package from amazon arrived. Along with birthday presents for the twins (18 this week! 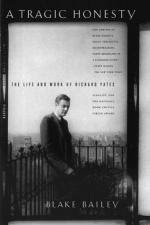 ), was A Tragic Honesty: The Life and Work of Richard Yates by Blake Bailey. It's been some time since I read a literary biography and this was highly recommended by Rachel. After an initial surprise at the 600+ pages, I was totally hooked by the end of the prologue. The first chapter shed new light on both The Easter Parade and Revolutionary Road, so I will read the entire biography before continuing with the rest of Yates' novels. Did you make it through the TBR Dare? What will you be reading this week?